Dr. Eric Higginbotham is the emergency department medical director at Dell Children’s Medical Center of Central Texas. A physician there since 2007, he assumed the medical director position in 2014 after serving as associate medical director. Board certified in both emergency medicine and pediatrics, Dr. Higginbotham earned his medical degree from the University of Texas Health Science Center at Houston. He completed residency training in both internal medicine and pediatrics at Duke University Medical Center before pursuing his emergency medicine residency at the University of North Carolina at Chapel Hill. 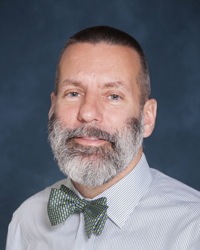 In addition to his clinical background, Dr. Higginbotham has extensive teaching and research experience including multiple NIH and industry clinical trials. In addition to having given dozens of academic presentations, Dr. Higginbotham is regularly called on by news media to offer expertise on pediatric issues. A peer reviewer for the Annals of Emergency Medicine, he has served on a number of national, state, and hospital committees.